For most cities, wastewater and drinking water treatment plants are major energy hogs. So when St. Cloud was looking for ways to trim its utility bills, it made sense to look at the sprawling wastewater treatment plant on the city's south side. The city launched an innovative project to use renewable energy to power the plant. Solar panels generate electricity to keep it running when the sun is shining. Methane gas produced during the treatment process is captured and used to produce more electricity. "In all likelihood, we'll be 80 percent renewable energy by 2018," said Patrick Shea, St. Cloud's public services director. "I don't know another municipality of this size in the state that's at that level." A growing number of Minnesota cities are looking to renewable sources to reduce their energy use and meet public demands for sustainability. 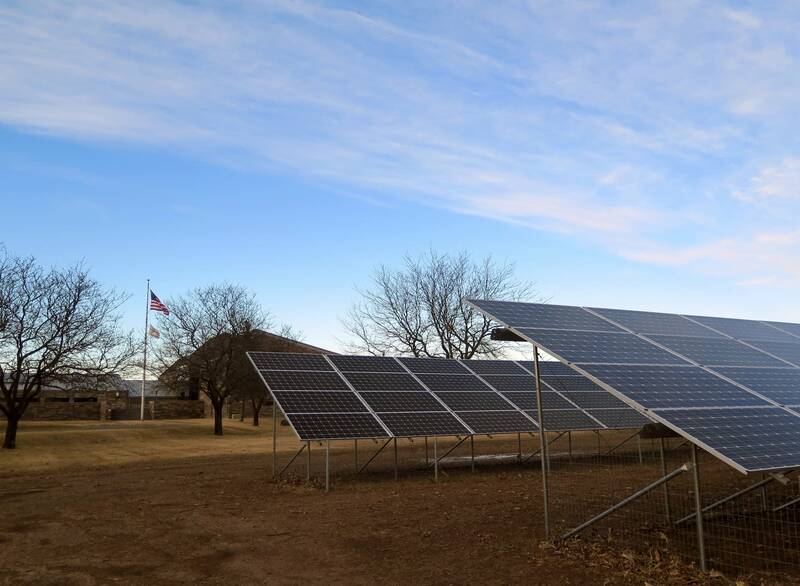 The cities of Hutchinson, Mankato, Red Wing and Maplewood have all recently completed solar projects. But St. Cloud's methane recapture project is fairly cutting edge, and other cities are paying attention, said Peter Lindstrom, local government outreach coordinator for the Clean Energy Resource Teams. "Quite frankly, it just makes a lot of sense," Lindstrom said. "These wastewater treatment plants are often times the biggest energy users that a local government has. And so any means by which they can cut that utility bill, they should and are looking at." St. Cloud's effort began about three years ago when city officials were looking at ways to become more sustainable, Shea said. In 2015, they agreed to allow a private company to install solar panels on the roof of the wastewater treatment plant. "We wanted to make sure we walked before we ran," Shea said. The project required no upfront costs for the city and offered guaranteed energy savings. The city agreed to buy the electricity generated by the panels for the next 20 years. That project paid off. A second solar array was installed next to the plant. Last fall, the city added digesters to remove the methane created during the wastewater treatment process. The methane is fed into a generator, where it produces about 5 million kilowatts of electricity a year. 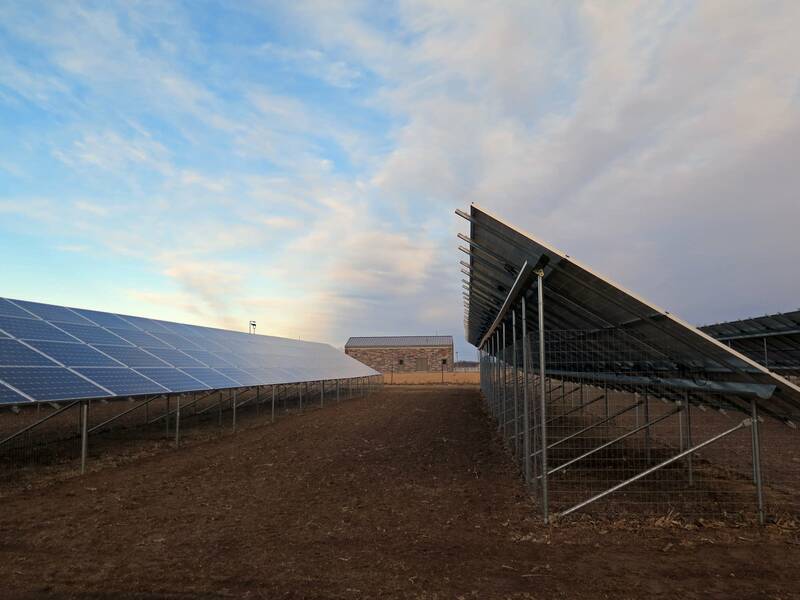 "Between that and the solar array, we're capable at certain times of the year and certain days of the year of being completely off the grid," Shea said. The digester offers another benefit. Craft breweries and beverage companies produce a lot of waste that's high in sugar but doesn't contain any human or animal waste. It can be fed directly into the digester, creating even more electricity. Eventually, the biofuel will be stored so it can be used to keep the plant running all the time, even when the solar panels aren't producing. The facility could become the first in Minnesota to be completely energy independent. St. 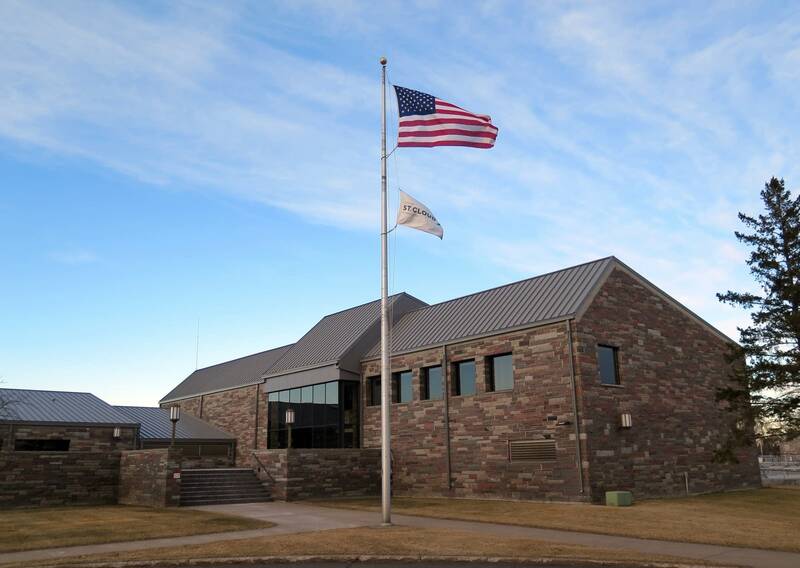 Cloud also added solar panels to its police station and two fire stations, and replaced its street lights with energy-saving LEDs. Shea expects the city's energy bills to go from about $3 million a year to about half a million dollars a year in the next decade. The city actually produces more energy than it uses annually, Mayor Dave Kleis said. "We look at in almost every aspect we can to look at reducing our carbon footprint, reducing our energy use and — bottom line for me — saving a tremendous amount of dollars for the taxpayer," Kleis said. Lindstrom said renewable energy projects offer cities some predictability when it comes to their future energy bills, because they can lock in their costs for the next 10-20 years. Besides the financial benefit, there's another incentive. Lindstrom said there's public pressure on local government officials to take action. "I think that elected officials are hearing from folks when they're out there knocking on doors and at community meetings," he said. "The public wants to know what are they doing to not just save money, but also be a leader in sustainability." However, cities face obstacles when it comes to renewable energy projects, including a lack of capital and public officials who are averse to taking risks, Lindstrom said. "It makes them a little bit nervous to be on the cutting edge, some may say on the bleeding edge, of new technology or new financial models," he said. "Folks don't want to get caught a few years down the road with a project that for whatever reason went south."